I ended up with a free Regus BuisnessWorld gold membership via my Virgin Atlantic silver status. See my post on how to do this. 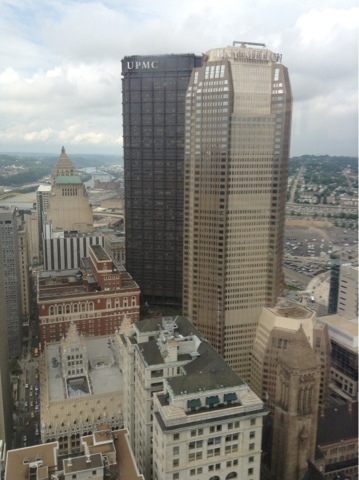 As I type this I'm sitting in the Regus location on the 43rd floor of One Oxford Center in Pittsburgh, PA. I had a couple hours today before I head out of town so I figured I'd check it out. The facility itself is pretty nice, but nothing too spectacular. It reminds me of your standard office; and that makes sense as regus acts primarily as a short term office rental center. Gold membership gets you access to the lounge area. 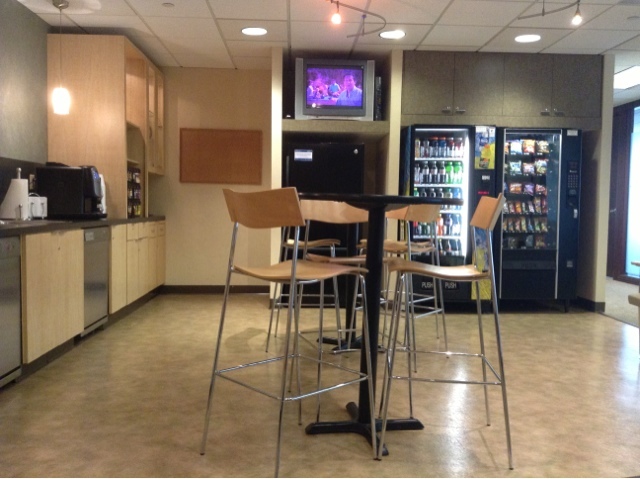 In this location the lounge is nothing more than a standard work place lunch room. There are some vending machines, a fridge, sink and free coffee and tea. There are a couple chairs with small desks on the arms. The wifi seems to be very fast and reliable. 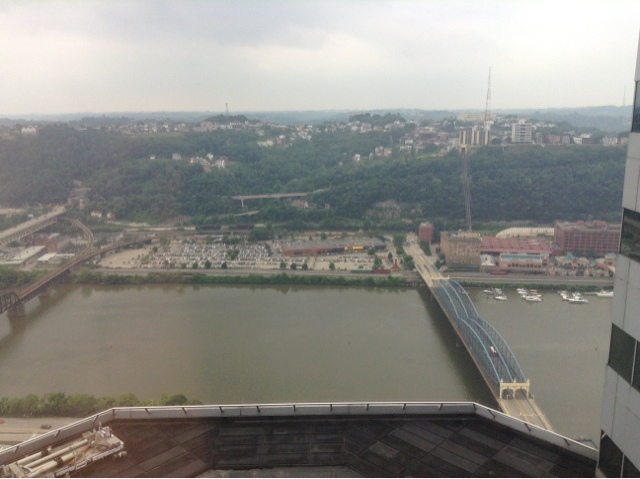 The highlight of this particular location is the view. 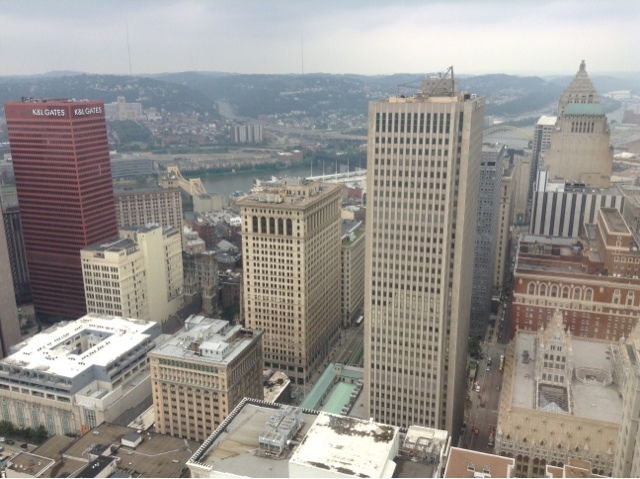 I'm a big fan of seeing cities from different vantage points and being 43 floors off the ground gives you some amazing vistas. All in all, it is a very nice alternative to a coffee shop if you have a couple hours to kill.